1) Check that your SharePoint 2013 has latest CU has installed. 2) Check that Workflow Manager and Service Bus features has latest patches. 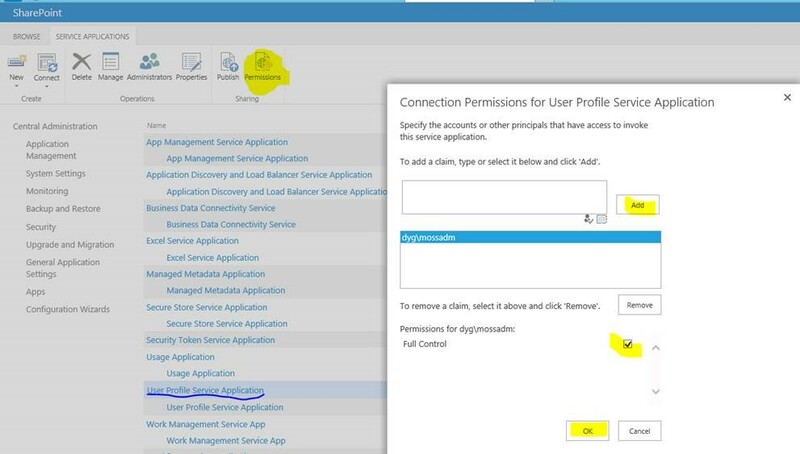 3) User Profile Service Proxy is up and running and the related Web Application has connected this service Proxy . Deselect/ Reselect UPA Proxy service connections. 4) Check and define all your Web Application’s Application pool , STS Service Application pool , UPA Service Application identities. 8) Add if any missing account belong to Web Application’s ,STS Service’s or UPA Service Applications’s pool identities with Full Control. *User Profile Syncronization Service .